Next time you’re on the Jubilee line, stop off at the library next to Canada Water station. There, along with a good collection of books and a cute café, you can go into a fantastic theatre space. Both large and comfortable, and properly rigged for lighting, Canada Water Theatre is an excellent space to put on a show, a sentiment which Two Gents Productions clearly share. Their production of ‘The Incident’ is playing here, and it is a relationship drama about Jan and Monica. Both teach at the same school, both live in Sweden and both are seemingly in love with each other. The big difference: Jan is Swedish and Monica is from Zimbabwe. 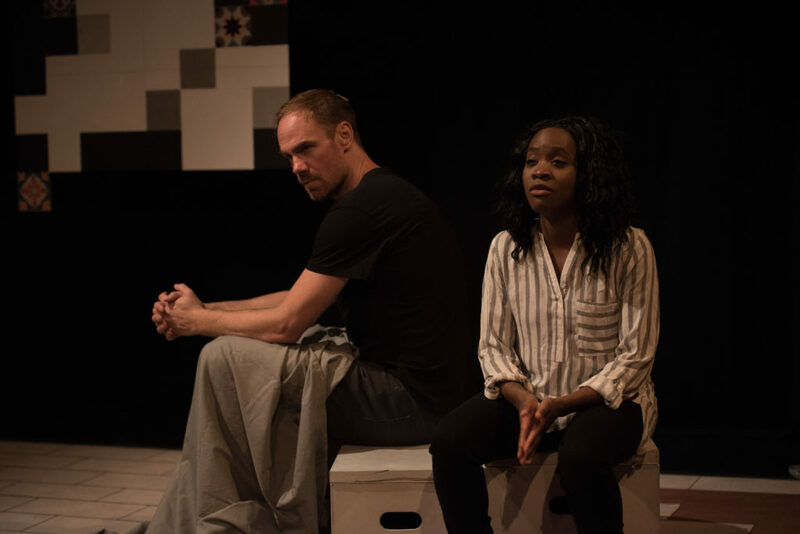 The play tackles the couples’ struggles to communicate and understand each other, as well as wider social issues concerning racial politics in Sweden and indeed globally. The two actors both held their own in this two-hander; however it was Cassandra Hercules playing the part of Monica who really shone. She had the difficult task of articulating racial struggle in a way that wasn’t cliché or too bleak. She was successful, as her whole performance was rich with physical energy and clear connection to her thoughts. David Weiss’ Jan was a much more stuck up and stiff character than Monica, however there were moments where I felt his character came across as particularly cold and cruel, especially when ‘consoling’ Monica when she was upset over past racial prejudices she had experienced. In terms of the writing, there seemed to be a lot of significance weighted onto lines with clear messages, and not as much attention on the subtext and moments in between. Joakim Daun’s award-winning script has a few of these moments of unnecessary exposition, filling the audience in on information that we can get simply through good direction and use of the space. The scene where Jan informs Monica of her suspension from work was an excellent example of using distance between the actors and fast pace to create energy and plenty of subtext. It would have been fantastic if this quality was present throughout the piece. The play is an international one, and has been performed all over the world. In the lobby before the show I was able to witness a wonderful mixing of cultures, as Swedish and African audience members were meeting and discussing the upcoming show. The piece charmingly explores the joys and trials of these relationships, but was lacking that zip needed to really lift it.